AFTER tragically claiming the lives of countless expats and tourists it seems the UK-banned drug, Nolotil, is finally coming under fire. Health network Marina Salud, Departamento de Salud de Dénia, has taken action to protect expats from the life-threatening side effects of the commonly prescribed painkiller. Marina Salud, based on the Costa Blanca, issued a warning to staff last week to avoid prescribing the drug – also known as Metamizol – to Anglo Saxon and Scandinavian patients where possible. The breakthrough move comes after Alicante-based legal and medical translator, Cristina Garcia del Campo, began to personally investigate the drug and took her findings to Spanish authorities. “I feel there is a reason why British people are not given this medication in the UK and they should not be given it here either, unless they specifically want it,” she added. Since breaking the story last week, the Olive Press has received a number of calls and Facebook messages from concerned expats who have been taking Nolotil. Many have now decided to stop. A 71-year-old man told the Olive Press he had been taking the painkiller for around six weeks following a road accident and had been feeling ‘very unwell’. The elderly man cares for his older brother and expressed his concerns about his own health. “I hope it’s not too late for me,” he said. 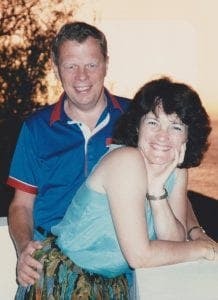 Londoner, Graeme Ward, told the Olive Press how he tragically lost his wife, Mary, 59, in 2006 after she was prescribed the drug following a double mastectomy at the Costa del Sol Hospital in Marbella. “Within 24 hours she was in intensive care, her white blood cell count plummeted to zero within days,” explained Ward, a former computer technician, based in Marbella. Mary never regained consciousness and was on a life support machine for four months, before spending three years fighting the impact of the drug, which led to organ failure. “The chief surgeon at the hospital said she would be alive if she hadn’t taken it,” added Ward. The 76-year-old has been campaigning ever since to regulate the drug and has regularly spoken out against Nolotil on local radio and television. “I wanted to sue the doctor who had prescribed it but was told that as it was legally on the market I would not have a case… So I then tried to raise awareness,” he said. Ward was furious when some years later he was prescribed the painkiller by his Spanish dentist, after suffering from a difficult abscess. “That was when I restarted the campaign and contacted the Olive Press,” he added. British carer, Rosina Wills, said one of her patients who had been taking Nolotil looked like the ‘walking dead’, while another five had suffered ‘serious detrimental side effects’. 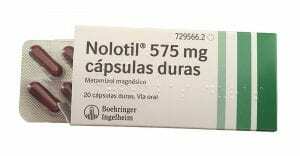 The Alicante-based carer, treated a woman with cancer who took Nolotil for 17 months. “Her blood count was so low we couldn’t believe she was still alive,” she told the Olive Press. Wills said the patient had a ‘terrible constant itch over her body’ and was pulling her hair out. After discovering the side effects of Nolotil, she advised her to stop taking it. By the end of the week the patient had stopped scratching. “The lady became much brighter and in better health after stopping the drug. She had energy,” the carer added. The patient, who suffered from breast cancer, also had swollen lymph nodes in her armpits which had looked ‘angry and alive’ but started to dull and and dry up after stopping the drug. 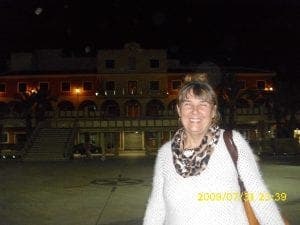 “I am constantly coming across new patients who are being prescribed it and I find it a battle with certain nursing staff who do not agree, or do not want to fight the Spanish healthcare system. “I just think this has got to stop,” added 64-year-old Wills, who even wrote to the British Consulate in a bid to raise awareness for expats in Spain. Many expats have contacted authorities with no support and have been left unsure what to turn. Medical translator, Garcia del Campo, was compelled to protect the expat community after coming across a large number of British and Irish patients who were suffering with sepsis as a result of taking Nolotil. Despite the breakthrough movement following Garcia del Campo’s findings, she said it ‘hasn’t been easy’ over the past four months. Although many expats got in touch to tell her they had lost a relative or suffered terrible side effects after taking Nolotil, they were not prepared to go on the record. “It is not possible to notify cases of people by just reading their comment. “I need certain information and unless they give it to me, their case does not get notified and that way, they are not helping anybody or even themselves,” she added. The translator said it hindered the investigation at times and she has been close to giving up. “I have also had to put up with some ignorant comments from people who were very insulting. “One even accused me of being racist because I said Nolotil seemed to be affecting Anglo Saxons more than Spanish people,” she added. 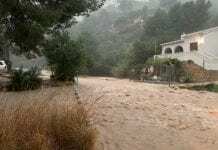 Despite this, Garcia del Campo greatly praised expat social media groups, such as Javea Connect, and the many victims who have come forward. Spanish healthcare professionals supported the investigation as soon as she raised her concerns, which she said has now lead to a nationwide probe. Hearing the news of the investigation, Ward, said: “Without Nolotil my wife would still be alive today. It’s high time for it to be banned and the manufacturers should be ashamed of themselves. 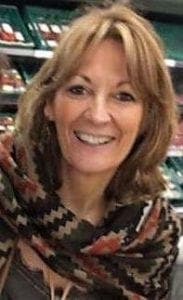 Speaking of Marina Salud’s decision to issue a warning Wills said ‘anything is better than nothing’ and is keeping her fingers crossed for further regulation in Spain. After its mass production in 1922, Nolotil was first banned in Sweden in 1974, followed by the US in 1979 and subsequently most of the EU. It is still the go-to painkiller in Spain and is still available over-the-counter in Russia, with reports suggesting it makes up around 80% of the region’s painkiller market. (It’s also available in Mexico, India and Brazil). Research suggests side effects appear to affect those of Anglo Saxon and Scandinavian heritage more than Spaniards.